Sukumaran Nair categorically said the NSS will not lend its support if anyone organises protests in the Sabarimala issue with a political motive. 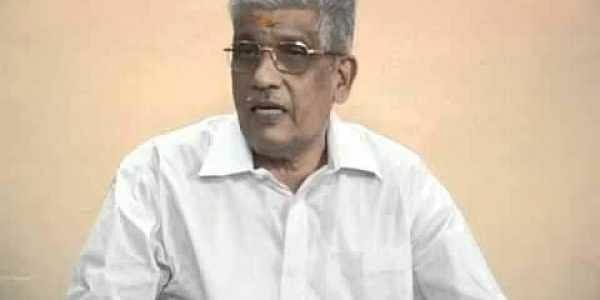 KOTTAYAM: Making his political stance clear on the Sabarimala issue, the Nair Service Society (NSS) general secretary G Sukumaran Nair said no political parties can hijack the organisation under the cover of protests related to the women’s entry issue in Sabarimala. He was responding to CPM state secretary Kodiyeri Balakrishnan’s remarks that the NSS should recognise the pitfalls behind Sabarimala protests and the RSS would wrest control of the NSS ‘karayogams’ eventually. Stating Kodiyeri’s remarks as baseless, Sukumaran Nair said NSS will stand firm on its stance even if anyone tries to prevent the move, by triggering elite class - low-class issues and politics. Sukumaran Nair categorically said the NSS will not lend its support if anyone organises protests in the Sabarimala issue with a political motive. He added the NSS is with devotees in this issue. “The NSS is an organisation comprising of members having different political affiliations which include Left, Right and BJP. However, a large chunk of them gives priority to any initiatives of the NSS. Their participation in the protests is not based on politics. Also, the NSS has directed them not to do so,” he said. “At the same time, the NSS will not prevent its members, who participate in the political protests. The NSS doesn’t believe any political party will hijack the organisation because of this. Several organisations had failed in their attempt to hijack the organisation on many occasions in the past,” he said.